In recognition of the increasing incidence of people living with dementia, the RCC has been working with its Lay Partnership Group to develop relevant and helpful information for members. We have recognised the importance of the physical care environment, and have been considering how best to support chiropractors to create enabling environments for patients living with dementia. 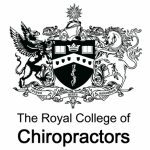 An integral and essential part of this work is the engagement of stakeholders drawn from the chiropractic profession. We are therefore keen to recruit members to a Reference Group to help shape and guide the work. If you would like to be involved as a member of the Reference Group, please contact rob.finch@rcc-uk.org by Friday 3rd November.